I'm Heath Huffman, co-owner and co-founder of Doodlekit, a free online website builder. I am a UX/UI web designer by heart, but I wear many hats. I focus primarily on website tool creation, usability, and design. I make the tools that people use to make websites. My skillset includes: web design, UX/UI development, graphic design, front & backend programming, marketing, SEO, social media, running my own business and much more. Prior to Doodlekit, I worked for fortune 500 companies as a programmer and web designer. I gave it all up to start my own business. My first year of running Doodlekit taught me more about technology and innovation than all 12 of my corporate years combined. Successfully operating and growing a small business in such a highly competitive industry is hard work. I enjoy making decisions, taking initiatives, and earning my own rewards. This website showcases my work, skills, and what I can do. Enjoy! Doodlekit is an online website building tool that allows individuals and small business owners to make and maintain their own websites. It uses a custom CMS for content editing combined with a highly advanced proprietary template creator developed in-house. It offers a wide variety of online services with various monthly price plans. These services include: website builder, template maker, blog, form builder, shopping cart, forum creator, slideshows, photo albums, SEO tools, and much more. Doodlekit was formed back in January of 2006 by myself and my business partner Ben Kitrell. We’ve been featured in magazines all over the world like PCWorld, PC Magazine and TechCrunch. Doodlekit is a leader in easy-to-use website building tools and CMS technology. Our innovations, design practice, and creative tools have helped make do-it-yourself website builders into what they are today. We have an acute understanding of how people use websites and what they look for when building them. Doodlekit’s focus is on making the website building experience as enjoyable, productive, affordable, and easy as possible. Since its inception in 2006, Doodlekit has continued to grow steadily each year. The online website builder industry is highly competitive, and surviving and thriving in it takes a lot of work. Constantly changing technology, new social trends, and ever-evolving marketing strategies require us to be ever vigilant in our research, studies and learning. Doodlekit has had two additional major releases since its rolled out in 2006, and we’re currently working on the third. New development will forever be a work in progress and perpetually in motion. This latest release will be focused on responsive website design in conjunction with mobile website usability. New admin tools and layouts are being developed that conform to any screen size on just about any device. Below are some example starter templates we’ve created for our users through Doodlekit’s template making tools. Designs can vary from simple to complex. All are fairly basic, allowing users to add their own header images, photos and content. They can be used as is or modified into completely new templates. Our primary focus for the next release of Doodlekit is development of a custom responsive framework for our templates and admin tools. After researching other more standard frameworks like Bootstrap, Gumby, Foundation, etc. we have started work on our own custom framework that will be more specific to Doodlekit’s needs. Because our primary users do not code, we will be developing an easy-to-use interface that injects the appropriate code into the framework where needed. Updates and improvements will continue to be made to our existing features like the shopping cart, audio/video components, advanced security options, etc. Development of new tools and addons will also continue, guided by the needs our clients and customers. Using Doodlekit’s tools and template maker, I have designed and developed several custom websites over the years. If you know Photoshop and a little CSS, you can completely customize the look and feel of any website you create through us. Below are some example designs I have created in the past. I love dabbling in typography. I also love making icons. I guess it was only natural for me to end up making a custom icon font for Doodlekit. I call it Doodlepic. I looked into other icon fonts, both paid and free, but every set I found only had a few icons that I needed. Instead of importing 20 fonts to get all the icons I wanted, I opted to create my own instead. Creating your own icon font is not an easy task. It involves a general understanding of how fonts work, creating vector-based illustrations, and the use of numerical HTML encoded Unicode characters. You have to learn kerning, tracking, and font spacing as well. Below is a handful of my custom icons. I’m constantly adding to my collection and have found knowing how to create your own icon font to be incredibly useful. Hardly a day goes by that I don’t find myself using Photoshop for one reason or another. As a matter of fact, I just keep it open all the time on my Mac. I use it for everything from custom header images, border effects, and background patterns, to email promotions, custom website designs, and business cards. My Photoshop experience is showcased in every image and photo on this web page, including the custom repeating background images. Whenever I need a graphic for any reason I can just whip up something that meets my current needs. Below are a few more examples of my Photoshop work. You can’t run a successful business on the web without knowing SEO. Developing your product and services is only half the work - getting it ranked by search engines is a whole different ball game. Your search engine ranking is the lifeblood of your website. If I hadn’t focused my energy on learning SEO after we launched Doodlekit, I believe we wouldn't have survived. Understanding Google and keeping up with their latest search engine algorithm updates (like Penguin and Panda) is critical. Not to be overlooked and almost equally as important is social media. People spreading the word about your website to friends and relatives through social media tools is the latest trend in online marketing. Search engines are now looking at the number of followers and likes you have on social media platforms like Facebook and Twitter to help decide how to rank you. We have Doodlekit set up on every major social media platform and have even ran contests to increase followers on Twitter and Facebook. 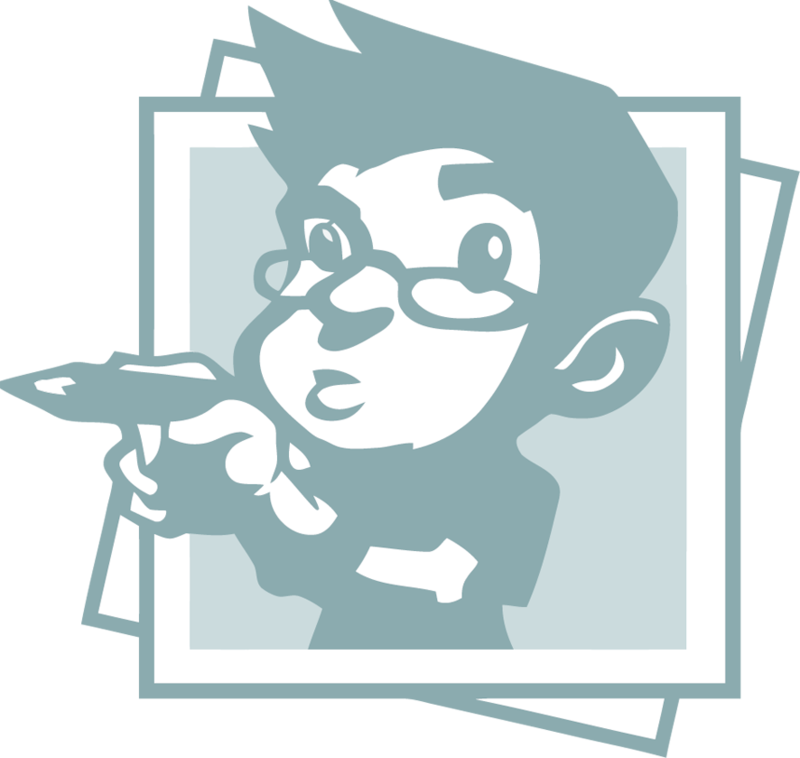 Prior to Doodlekit, I spent 12 years as a programmer and web developer in Corporate America. I worked for companies including Sprint, CapGemini, Applebee's HQ, Tek Systems, and Blue Cross Blue Shield programming in Visual Studio, Java, J2EE Frameworks, Servlets, JSP, Struts, Spring, Hibernate, Ant, and much more. I was even a Consultant Manager for Tek Systems as a fulltime employee where I managed 30+ consultants in addition to my normal contactor development duties. I have a considerable amount of experience leading teams and managing groups of people, in addition to my technical skills. I have a knack with people - I’m not afraid to give presentations in large groups and working in a team environment comes easily to me. Got an awesome opportunity or question? Have an awsome job opportunity that I can’t pass up? How about a project you think I would be perfect for? Need a speaker at a tech event? Or maybe you just want to drop me a line to say ‘hey’ or see what’s up. No problem! Shoot me an email using my contact form. Like most people, I get more emails than I know what to do with but I will try to get back to you within 24 hours if possible. It also helps if you keep your emails short and to the point. Thank you for your interest in my portfolio and I hope to hear from you! Copyright © 2006 - .